team jumping, agility team, individual jumping, agility individual. large team: jumping, agility, agility+ jumping. individual large: jumping, agility, agility+ jumping. medium team: jumping, agility, agility+ jumping. individual medium: jumping, agility, agility+ jumping. small team: jumping, agility, agility+ jumping. individual small: jumping, agility, agility+ jumping. en Lieberec, Czech rep (webpage, facebook, facebook). Local: Tipsport Arena 1, 2. Jirina Mackova (Czech rep.), Kees stoel (Netherlands), Lenka Pankova (Czech rep.). Nalle Jansson (Suecia): webpage, pistas: 1, 2, 3. Jirina Mackova (Czech rep.): varias pistas. Lenka Pankova (Czech rep.): varias pistas. ♦ people having problem with livestream can try this link. jumping (large, medium, small). inside each team the order is alfabetical. ♦ on line information from dog sport magazine (click). ♦ team running orders (click). ♦ video promocional oficial (click, IE). ♦ hora en todo el mundo (click). ♦ Control veterinario: una hora antes del horario de entrenamiento; los países a los que corresponda entrenar entre 7 y 7:45 tendrán el control veterinario entre 17 y 18 hs del miércoles. ♦ Göran Elmertoft (suecia) estará fotografiando el evento (webpage, facebook). Brasil: hotsite, private event on facebook 4 a 7 de out world agility championship 2012 mundial de agility 2012. Austria: andrea foglar; video del equipo (click, IE). Canadá: CKC, facebook; video del equipo (click, IE). suecia: video del equipo (click, IE). FACEBOOK: Ian watts (day 1, thursday), paul seiten (team jumping large, team medium, small team jumping, oct 5, oct 5, oct 6, jumping small indiv., agility small team, agility small indiv., agility medium indiv., agility large indiv. ), reunión de capitanes y entrenamiento (click), agility gallery (click), agility-fotos.de (1, 2, 3), Fotohacko.cz (click), Frieda Vanden Berghe (1, 2, 3), alexander beitl (click), Kasia Piotrowska. 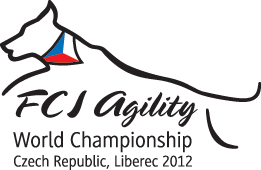 (1, 2, 3), Michal Krejci (1, 2, 3, 4), elizabeth vialles (click), lidia belyaeva (click), om agility (1, 2, 3). overlays by slow motion (click). parallel and more from guy blancke (facebook). videos from phillip muller schinck (germany) on facebook (1, 2, 3). video with andrea foglar & twiss (border collie, austria) first place in individual agility competition during almost all the trial as she was the fifth team running (click, IE). team agility large from germany (facebook). team jumping large from germany (facebook). lisa frick vs tereza Kralova (click, IE). YOUTUBE: poland, spain, estonia, switzerland, croatia, finland, latvia, spain, brazil, estonia, hungary, sweeden, france, norway, france, latvia, spain. general de workaholicHoney en rep. checa (click, IE). training by slow motion (click, IE). tribute to emilio & alma from spain (click, IE). first WC for pip from belgium (click, IE). on line information from dog sport magazine (webpage, twiter).